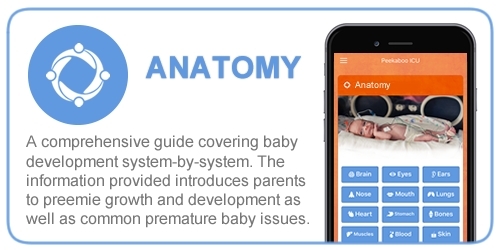 The FREE Peekaboo ICU PREEMIE App is an invaluable tool made specifically for parents of preemies. 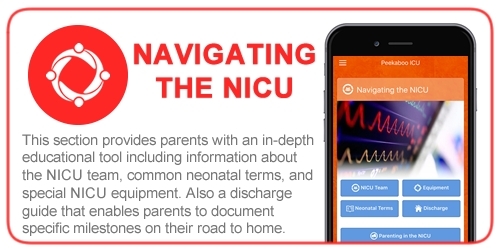 Designed to inform, inspire, and engage parents as they navigate their way through the NICU. Peekaboo ICU PREEMIE offers parents an empowering and educational guide to prematurity, helping to reshape the preemie parent experience from day one. 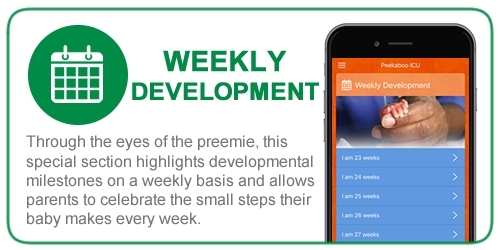 Weekly Development: Through the eyes of the preemie, this special section highlights developmental milestones on a weekly basis and allows parents to celebrate the small steps their baby makes every week. Information included focuses on essential aspects of parenting in the NICU and gives specific examples of how families can engage and be involved in the care of their baby as they grow and develop week-by-week. Navigating the NICU: This section provides parents with an in-depth educational tool including information about the NICU team, common neonatal terms, and special NICU equipment. Also included is a comprehensive discharge guide that enables parents to document and check off specific milestones on their road to home. 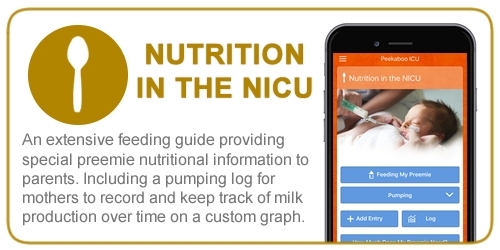 Nutrition: An extensive feeding guide providing special preemie nutritional information to parents. Including a pumping log for mothers to record and keep track of milk production overtime on a special custom graph. 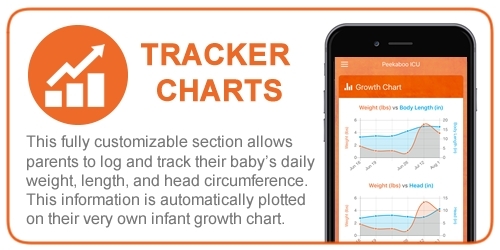 Growth Chart and Trackers: This fully customizable section allows parents to log and track their baby’s daily weight, length, and head circumference. This information is automatically plotted on their very own infant growth chart. Anatomy: A comprehensive guide covering baby development system-by-system. This easy to understand information introduces parents to preemie growth and development as well as common premature baby issues. 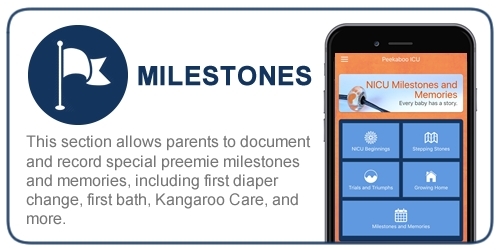 Milestones: This section allows parents to document and record special preemie milestones and memories, including first diaper change, first bath, Kangaroo Care, and more. Journal: Used to document daily thoughts, experiences, and accomplishments. Parents can customize and record their progress, including pictures, and share with family and friends via email or any social media platform.